Posted this on TheSamba.com and was referred here....Wife and I bought a 1971 Bay about a year ago that was missing a motor. Not long after that we bought a 1600 Dual Port AH motor out of a bug and have since had it bolted in. The problem is neither of us (including my father) know much about VW's. 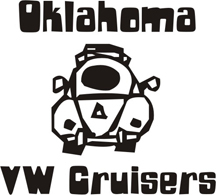 I was wondering if someone in the OKC/Moore area that knows about VW's would be willing to come take a look at the bus and give us an idea on what it needs to get on the road. My wife's birthday is coming up in July and I would love to be able to have it on the road for her birthday. I'm not asking for someone to come over and do the work for us but rather just someone to maybe write down a parts list of what we will need so we can purchase the parts and put it on ourselves. I'll even give you gas money for coming over. This bus has been sitting in our garage over a year and both of us are ready to bring her back to life. Any help would be appreciated. Thanks JP but I have a guy that is coming over tomorrow morning to take a look at it. As you can tell I am new to the VW world and let me just tell you, everyone so far has been beyond nice. Can't wait to get "betsy" our bus on the road and meet some of you guys. Do you guys have shows? meetings? cruises? We do. meeting info is in the new user info section, and check the events section for upcoming stuff. will do! so a guy was nice enough to come check out the bus this morning and after adding everything up its only going to take about $200 give or take to get her on the road. beer included in that estimate. just need some small things like a distributor cap, generator belt, couple of tins and we are going to replace the fuel lines. The guy even offered to come help when we got ready to put the stuff on. My wife is beyond excited! thanks for all the info and when we get her going we'll come to some meets and shows. Who is it, why are they not on here? ?